The ultimate supplement for Equine skeletal development. 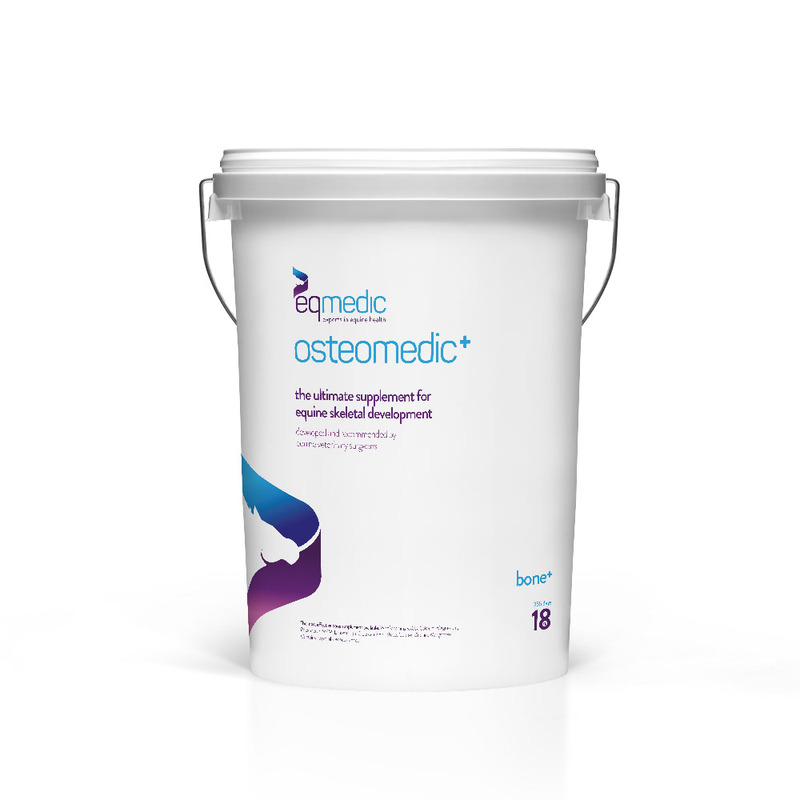 Osteomedic+ is developed and recommended by top Equine veterinary surgeons. -Vitamin K: Contributes to increasing bone mass and bone strength by stimulating bone formation and reducing bone resorption. -Calcium, Magnesium, Phosphorus: Essential minerals that contribute to optimal bone development. The marine origin calcium in Osteomedic+ is more bioavailable than calcium provided by limestone. -MSM: Possesses chondroprotective (protects cartilage) properties. It is also a source of organic sulphur, needed in the synthesis of collagen (cartilage protein) giving it hydration, resistance, elasticity and suppleness. -Copper, Zinc, Magnanese: Trace elements associated with a number of enzymes, which have an important role concerning bone and cartilage formation. Available in 3.5kg and 18kg tubs.